Prosecutors had called for him to serve "substantial" prison time. A federal judge in Manhattan has sentenced Michael Cohen, President Donald Trump’s former personal attorney and fixer, to three years in prison for various crimes including campaign finance violations, tax evasion, and lying to Congress. In addition to his imprisonment, Cohen will have to pay $1.39 million in restitution plus $500,000 in forfeiture for the financial and campaign finance crimes. He will face an additional fine of $50,000 for lying to Congress. For more than a decade, Cohen stood by Trump’s side as a personal attorney, fixer and confidant, famously proclaiming that he would “take a bullet for the president” and “never walk away.” But over the past year, as investigators targeted his personal finances, Cohen flipped on his former boss and cooperated in multiple investigations, including Mueller's probe, targeting Trump’s campaign and family business operations. 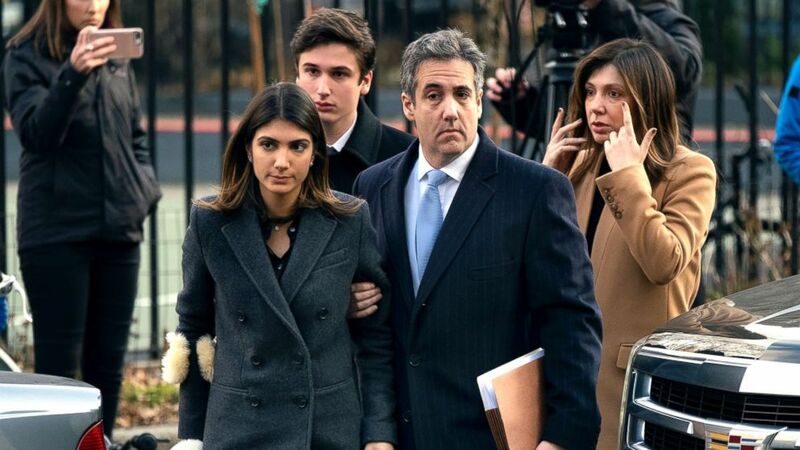 (Craig Ruttle/AP) Michael Cohen, right, President Donald Trump's former lawyer, accompanied by his children and wife, arrive at federal court for his sentencing in New York, Dec. 12, 2018. Prosecutors in the Justice Department’s Southern District of New York charged Cohen with eight felony counts in August, including tax evasion, making false statements to a financial institution, and campaign finance violations. Special counsel Robert Mueller, tasked with investigating Russian interference in the 2016 presidential election, tacked on an additional count of lying to Congress last month. Cohen pleaded guilty to all nine counts and struck a deal to cooperate with ongoing investigations. But while the special counsel’s office appeared to be willing to give Cohen credit for his cooperation, SDNY prosecutors took a tougher stance. In court on Wednesday, Jeannie Rhee, a prosecutor with the Office of the Special Counsel, said Cohen had provided “wide ranging and helpful” information on matters related to the Russia probe while being careful not to inflate the value of that information. Nicolas Roos, a prosecutor with the Southern District of New York, however, struck a different tone. 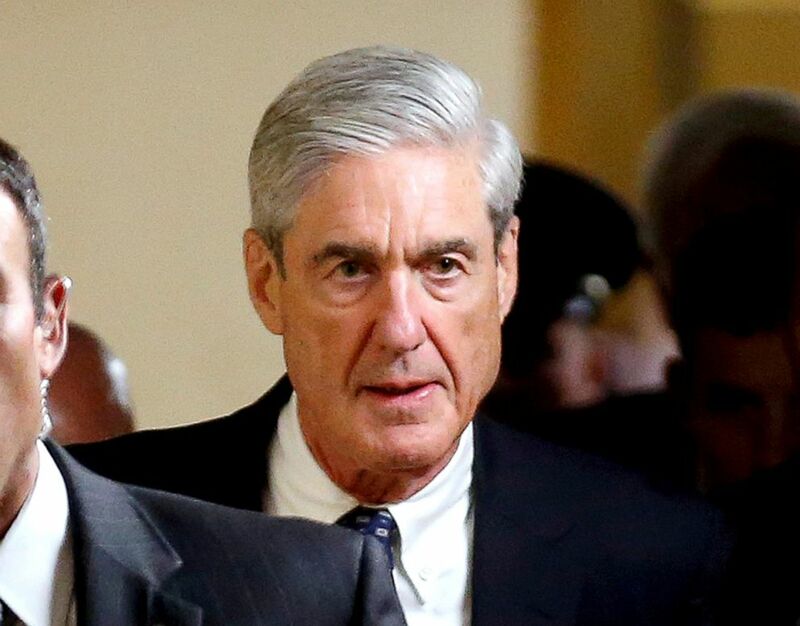 (Reuters/FILE PHOTO) Special Counsel Robert Mueller departs after briefing members of the U.S. Senate on his investigation into potential collusion between Russia and the Trump campaign on Capitol Hill in Washington, DC, June 21, 2017. With the pounding of his gavel on Wednesday morning, Judge Pauley marked the conclusion of Cohen’s improbable journey from Trump’s legal counsel to perhaps the most potent vehicle for President Trump’s legal exposure. Federal prosecutors allege that Cohen violated campaign finance laws by paying off two women who allege to have had affairs with Donald Trump acting “in coordination with and at the direction of” the then-candidate. Trump has argued the payments amount to nothing more than a “simple private transaction,” and do not qualify as campaign finance violations. Rep. Eric Swalwell, a California Democrat and vocal critic of the president, said he believes the Cohen sentence will send a powerful message. “Hopefully this signals to others that it’s time to come clean,” Swalwell said. Swalwell is one of several Democrats who are voicing interest in having Cohen return to Congress to testify in public, even if it means transporting him from prison to do so. Cohen, who departed court on Wednesday without addressing the scrum of awaiting cameras, has been ordered to report to prison on March 6, 2019.